An album of 80s inspired electro pop exploring love and romance. She's not the first and she won't be the last. 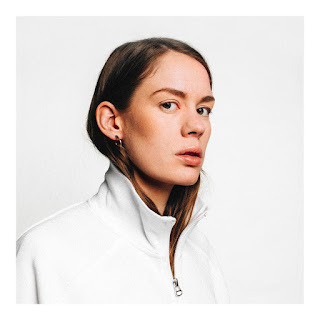 But this debut album from the Norwegian-Kiwi duo Anna Of The North shouldn't be dismissed so lightly. Arriving some ten years after their first single, it's an absolute diamond: sparkling Scandinavian pop polished to a crystalline sheen. The songwriting does just enough to stand out. As the title suggests, it's an album of love songs, but in a clever twist, many seem to be written from the position of the outsider looking on at a breakup. "It's gonna be alright, it just takes some time," singer Anna Lotterud comforts in opener Moving On, but who is she consoling: her friend or herself? When a relationship goes south we rely on our friends for support, but what if that friend was a lover all along? Later on Money she warns "she's not the one for you", while more explicitly on Always she bemoans being "always in the background" and repeats mournfully "I'm tired of being in love". Lotterud has admitted going through heartbreak while writing the album, the lyrics hinting that perhaps this love was unrequited. Elsewhere the lyrics depict the melancholy of a breakup in visceral fashion. "I'm in the dark, I can't see," she sings on the title track, and on the brittle, downbeat Friends she repeats painfully "I don't think I'm strong enough for us...I don't really wanna give it up". Closer All I Want ends the album on a tragic note, almost desperately repeating "Can you stay the night? Can you hold me tight?" Throughout there's a quiet, cool detachment to Lotterud's vocal: ghostly and pained. There's a rough quality to it too that contrasts to the gleaming production. Featherlight synths and frosty, processed beats are at once icy and metallic yet sensual, soft and warm. Even where the melodic writing isn't quite as strong and memorable as it could be, the production varies just enough from song to song: the softly pulsating Lovers; the firm, insistent beats of Money; the shivering romance of Always; the tentative rhythms of the questioning Baby; the yearning, clipped Friends. Lead single Someone, though, is the real centrepiece here. With its cascading, twinkling melodies, electronic drum fills, and that incredible key change, it's a perfect pastiche of 80s synths meets Scandi cool. Throw in that helpless chorus of "I'm only human baby" and Someone really does sum up the brilliance the duo have captured on 'Lovers'. Listen: 'Lovers' is out now.